Searching for a top-rated foldable treadmill? Then look no further than the NordicTrack Commercial 1750. Rated as one of the best in customer reviews, we wanted to take a closer look at this SpaceSaver foldable design to see exactly why it has such a strong following. 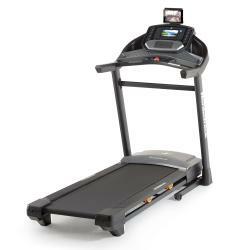 The NordicTrack Commercial Series treadmills are known for having a running deck that is 2” wider than the industry standard. That might not sound like much on paper, but, in terms of running stride, it can make all the difference. Combine that with the 3.6 CHP motor plus WhisperQuiet™ design and not only is the Commercial 1750 larger in terms of running space but it is also quieter. How supportive is the running deck? 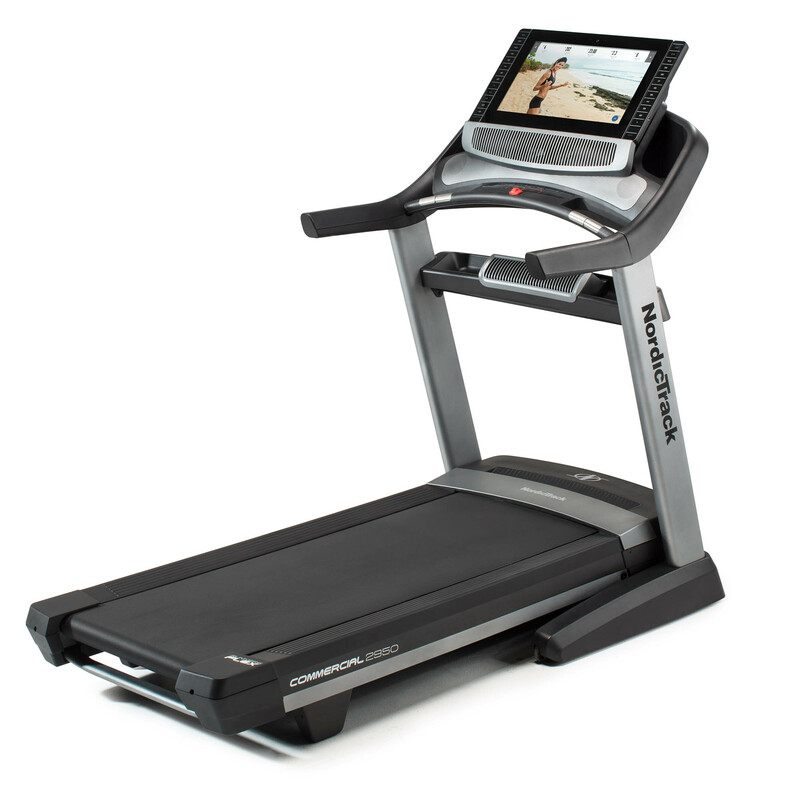 The NordicTrack Commercial 1750 comes with unique Flex Cushioning, which can be switched on or off. "Well, that's all very good, but what does it do?" we hear you ask. Basically, the Flex Cushioning minimizes the shock of exercise by 30% when active. So, manually turn the handle and you'll experience real road-like running, turn it the other way and the whole running deck will become cushioned, to better support your joints. Seems to us like the best of both worlds! You'll be happy for the support too as you reach your top speed. The top speed of the NordicTrack Commercial 1750 treadmill is 12mph. For most of you, we imagine that this will be plenty fast enough but for those of you after a machine that can support a bit more 'umpf' then check out the 4.25 CHP motor on the NordicTrack Commercial 2950 Treadmill. Rather than just relying on top speed challenges, the Commercial 1750 allows you to explore others challenges, with both an incline and (rather rare) decline feature. 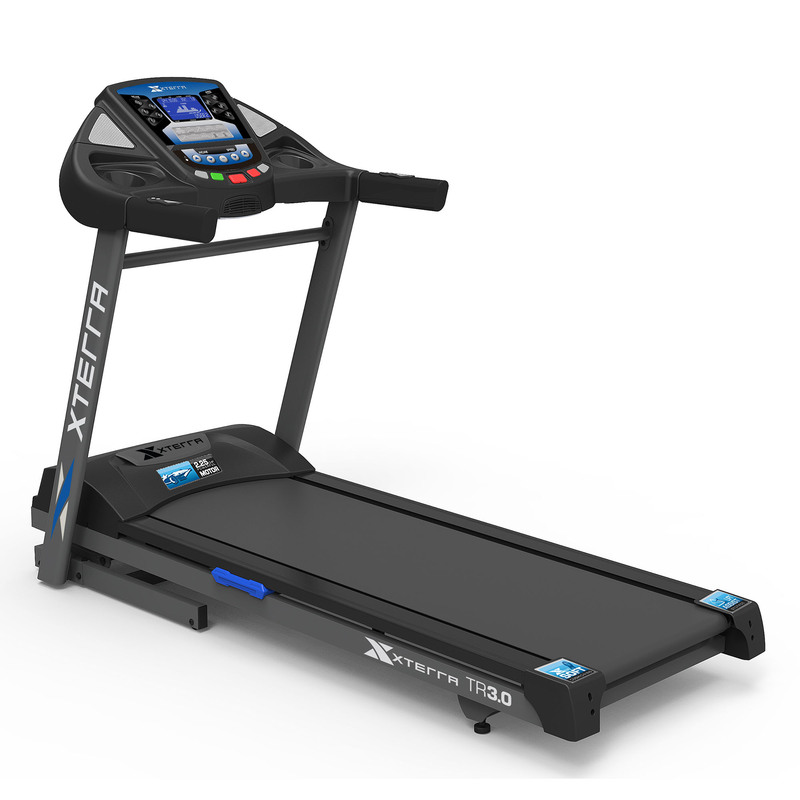 Treadmills that have a decline ability, are quickly becoming some of the best on the market and the NordicTrack 1750 is no different. Well, the simple answer is that the ability to toggle between a -3 to +15% incline means you are guaranteed a full body workout. Plus, select a workout from the Google virtual maps feature, and the treadmill will automatically change the incline to match the road route. You can run on any race track in the world and now not have to even leave the comfort of your own home or the gym. Sounds just like magic, right?! If you want to stop the magic, simply touch the easy access One-Touch Buttons and the Commercial 1750 will instantly change to your new settings, regardless of which programme you are using. Firstly, prepare yourselves because we know you're going to be impressed. The Commercial 1750 has a whopping 38 built-in workout programmes and is also Ifit compatible. If that's not perfect, then, to be honest, we don't know what is. With this many programmes and features to play with, we know that you won't be bored with the NordicTrack 1750 treadmill. The built-in programmes are categorized by goal: speed training, interval training, calorie burn and heart rate control. So, how will the Commercial 1750 track my heart rate? The heart rate based programmes can use either the chest strap, EKG pulse sensors on the front handlebars or the new Bluetooth heart rate monitoring system. Fancy, eh?! But, it's not just these features that we love about the Commercial 1750, it's also the fantastic entertainment options. We think that fitness should be fun and NordicTrack apparently agree with us! With a 7″ touchscreen display, you can browse the web, respond to emails and even scroll through social media. You'll soon be happily Instagramming (with filters, obviously) as you work out! I love that I can use this product on my lunch break and still stay in touch with whats going on in the office. Another fairly new feature is the Bluetooth music stream. No longer will you have annoying wires getting in your way whilst working out. Simply connect your music device via Bluetooth, select your playlist, and away you go! With above average design and additional features, we can see why the NordicTrack Commercial 1750 Treadmill is in the top of its league. The large range of workout options and the built-in entertainment system means that working out, either as a beginner or an advanced runner, has never been so much fun. With all of these additional features, we would expect the price tag to be much higher, but as it is, the NordicTrack 1750 is still happily affordable as an investment.